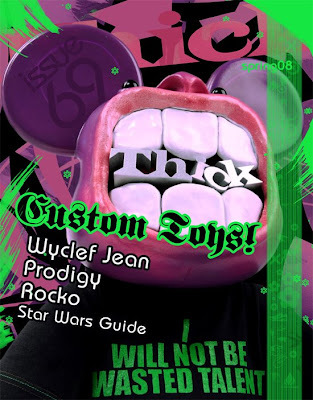 Qee @ Thick Magazine - out now! Qee from Nasty Neil/Thick Magazine D.I.Y. 8" Qee Fritz Bear Nightfighter ver. 8" Qee Ivan Cat Nightfighter ver. Presenting the art and stylin' of Matt Connelly Solo Show this Friday at Red Hot Robot. Sponsorship by Toy2r! 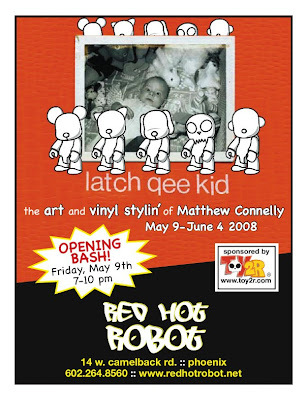 There will be custom Qee figures, Monoprints, Skatedecks, Paintings, and the kitchen sink.